Many people are making the move South – South Carolina, that is. Families, young professionals, and retirees are all realizing that the state has many attributes which make it extremely attractive. Between the glorious climate and natural landscape to the great amenities and financial incentives, you too may want to relocate to this state when you learn all of its advantages. Here are sixteen reasons why moving to South Carolina may be the right move for you. South Carolina has one of the lowest per capita tax rates in the country. The state does not tax Social Security benefits or railroad retirement income, and it allows special deductions for retirees. South Carolina also does not impose an estate or gift tax. You get a lot of bang for your buck when you buy a house in South Carolina. Compared to ocean front property in other East Coast states like New Jersey, you will get a bigger and better house or condo for half the price you would pay farther North. Generally, this state has a much lower cost of living than many of its neighbors or similar seaside communities. In addition to getting a bigger house than you would for the same price elsewhere, your food, utilities, and gas costs are likely to be lower too. Overall, the cost of living is about seven percent lower than the rest of the nation. If you are sick of shoveling and shivering, go South. South Carolina has an annual average temperature of 74°F, and it’s sunny about 215 days a year. If you like strolling the shore, the golf course, or a park in shorts and sandals, this is the place to be. Summers are hot, although not quite as tropical as the Caribbean or Hawaii. You can usually enjoy the sunshine and relatively balmy climes for much of the year and partake in many outdoor activities like fishing, swimming, and bicycling. South Carolina has suffered the impact from some storms as of late, but many of its new buildings are constructed with special protections against hurricane force winds. Many older couples choose to live out their golden years in South Carolina. The favorable tax rates make it especially appealing for people on a fixed income. There are many pleasant retirement communities which assure seniors that they will make new friends and enjoy lots of activities. For more independent living, there are many condominiums where you can get all the amenities without having to worry about doing all the landscaping and upkeep yourself. Many homeowners in Myrtle Beach and other South Carolina communities spend part of the year in the state and other months elsewhere. They may see their condo or house as an investment, using it on occasion for family vacations but also expecting it to generate income. A condo in South Carolina can be posted on Air B & B or leased for short-term rentals through a local manager to provide you with a steady stream of revenue from tourists and other travelers. You can even create an LLC and treat your real estate as a company, which offers additional tax benefits. South Carolina is one of the best states in the country for amazing golf courses. It has over 400 public and private golf courses to choose from! Kiawah Island’s Ocean Course has been the site of the 2007 Senior PGA Championship and the 2012 PGA, plus they are expecting to host it again on 2021. Hilton Head’s Harbour Town Golf Links was voted by PGA Tour players as their second-favorite regular Tour stop behind Augusta National. Golf Digest ranked these golf courses in the Palmetto State as the top ten. The American South is famous for its laid-back, friendly lifestyle. If you are used to the more chilly reception you may receive in colder climes, in this region you should be prepared for neighborly drop-ins ins, leisurely glasses of sweet tea on the porch, and invitations for dinner. Visitors come from all over the world to see the beautiful cities like Charleston and the jaw-dropping shorelines of places like Myrtle Beach. They keep coming back because of the warm reception they get from locals at restaurants, stores, and events. The region’s many historic homes make great B&Bs, whose owners pride themselves on making you feel right at home. If you are looking for a permanent place in South Carolina, why not try out some of these locally owned inns to get a taste of the welcoming attitude. Just don’t rush. It’s expected that you too will stop and take the time to respond to friendliness and inquire about how others are doing this fine day. The beaches in the Palmetto State are one of the region’s biggest draws for both travelers and people wishing to relocate. There are plenty of choices of vibes and activities, so there is a destination suitable for everyone from honeymooning couples to families, from students to professional conventions. 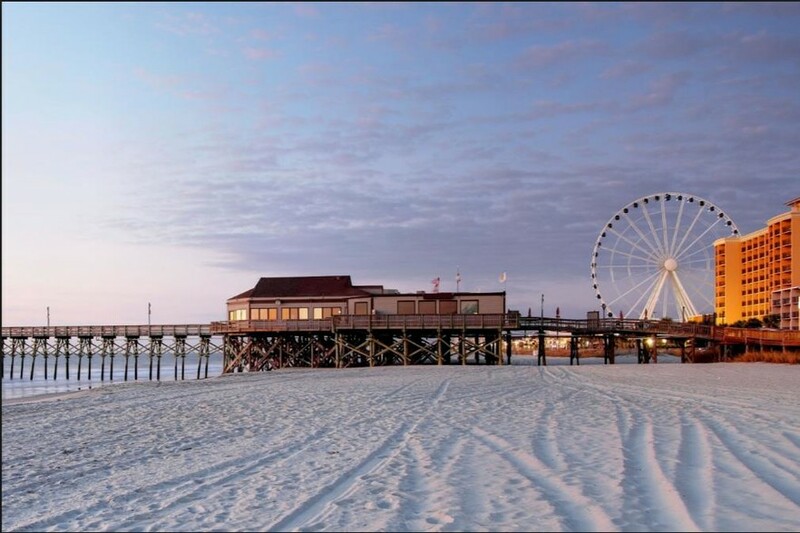 Myrtle Beach has lots going on, especially in the summer. It’s got amusement and water parks, restaurants and live entertainment. You can go fishing, swimming, sunbathing, sailing and surfing. The Isle of Palms is perfect for environmentalists and animal lovers: nesting sea turtles stop here to lay their eggs in the tall dunes. Hilton Head is a popular resort area with 12 miles of beaches, countless bike trails, over 30 golf courses, and more than 300 tennis courts. If you have had it with big city life, you may want to consider the more leisurely pace of existence in South Carolina. The laid-back lifestyle enables its residents to combine work and play in a less stressful way. Slowing down does not mean you have to skimp on exciting professional or cultural activities. Myrtle Beach hosts exciting cultural events like its Caribbean Festival in July and its Palmetto Tasty Tomato festival in August. The state’s Philharmonic is considered first-rate, as is the famous Spoleto Festival. Whether its the pleasant weather or the regional tradition of taking life easy, you will find your stress levels plummet when you settle into life down South. There’s no denying South Carolina’s important place in American history. Settled by Europeans in the 1500s, it was one of the original colonies and then one of the original states to sign the Declaration of Independence. South Carolina was a driving force in the Confederacy and the Civil War, as much of its economy depended upon slavery. It was the first state to secede from the union. After the war, it became one of the poorest states in the country. Despite the dark periods in its history, its many struggles have created a place with a strong sense of the past and pride in overcoming deep hardships and divisions. Native Americans, Africans and European settlers all influenced a deep cultural heritage which has contributed to the state’s unique personality to this day. If history intrigues you, tour the area’s majestic plantation homes. The architecture will carry you to a bygone era. Who knows, some of them may even be haunted! There are many other families like yours who are considering moving to places like Myrtle Beach, for all the reasons we list here. That makes property in the region a wise investment. Because of the state’s many amenities, if you take good care of your property you can expect to get a good resale price for it if you put it on the market. By working with a skilled realtor, you can price your house or condo appropriately and market it in a way that gives you an excellent return. It can be scary relocating to a state where you do not know anyone. Luckily, South Carolina has become adept at welcoming new residents like you. Many condos have activities which allow its residents to get to know each other, from fishing trips to holiday meals. Many houses are in developments where you are likely to get to know your neighbors quickly. They have shared facilities like pools, tennis courts and clubhouses. There are plenty of online forums for meeting people of like interests. You can go to Meetup.com and check out groups that engage in everything from chess to birding. Churches are also plentiful, giving another option to people wanting to meet others in the community. The location of South Carolina and its rich history have contributed to a delicious cuisine. There is an abundance of seafood, of course, including local shrimp, crabs and fish like tuna, bass, and flounder. The influence of African slaves has added the flavors of that continent, including sesame, okra, and eggplant. You will notice Caribbean and Gullah influences as well. Other regional favorites include boiled peanuts, collard greens, and sweet tea. Bar-B-Que is a religion in South Carolina. They serve it in many different ways: whole hog, pork butts, ribs or an all-you-can-eat buffet. The sauce is made in endless varieties, with different areas of the state preferring an emphasis on tomato, mustard, or vinegar. Other local dishes include She-Crab Soup, a bisque that blends cream, fresh crabmeat, red-orange roe from the female crab and sherry. Oysters on the half shell, fresh from the sea, are popular. Biscuits, grits, and cornbread are other Southern staples. You are never going to go hungry in this state, although you may need to rachet up your exercise program to counteract all the heavy, yummy food! South Carolina has many protected lands which make up national parks, monuments, and historic sites. Its state parks consist of 80,000 acres of protected lands from the Blue Ridge Mountains to the coast. Parks include protected wilderness, but there is also plenty of public space for recreation and cultural or historic events like Revolutionary or Civil War reenactments. If you like outdoor activities, the parks and public spaces offer many ways to explore your passion. There are plenty of places to camp, both on the seashore or in forests. Hikers and bird enthusiasts love South Carolina’s offerings. You can kayak the backstreams, so long as you look out for the alligators! You can also glimpse the past by visiting some of the area’s historic old plantation homes. The thriving tourist industry in Myrtle Beach and other popular spots makes the region a place with plenty of employment opportunities. There are about 75,000 jobs in Myrtle Beach alone which are dependent on tourism, ranging from hourly positions to management. Companies continue to open plants and outlets in the state because of the generous tax situation. This widens the net for employment in a variety of industries. South Carolina is also inviting to entrepreneurs because its tax structure encourages limited liability corporations and other pass-throughs with beneficial options for small businesses. Moving To South Carolina: What Are You Waiting For? There are so many reasons to move to South Carolina- you should start packing! 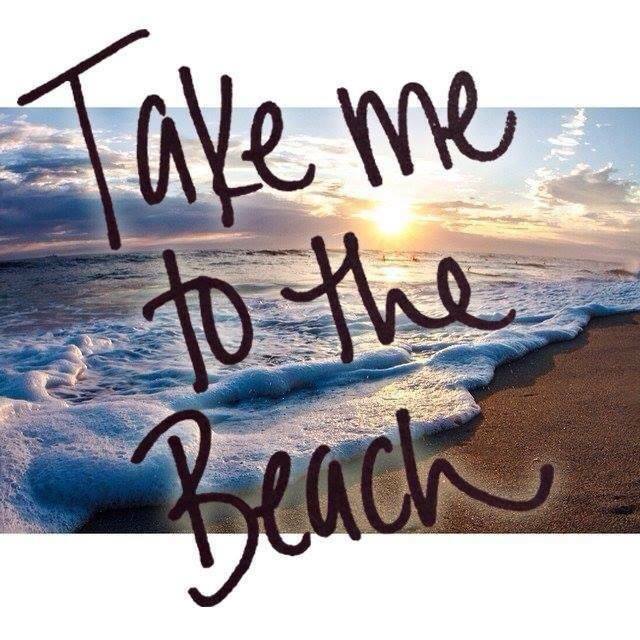 Join the exodus away from cold weather, stressful dirty cities, and expensive neighborhoods. If you have enjoyed traveling to this state for vacations, why not consider a long-term investment? Short term rentals can help you earn revenue on your home while at the same time giving you a place to enjoy with your family and friends whenever you wish. From tax advantages to the wide range of activities, from the food to the people, South Carolina has something to satisfy any need, interest, and appetite. If you are interested in what South Carolina has to offer you, check out our blog for more information.